Today I wanted to discuss a super bargain facial primer that works very similarly to some of the pricier ones at Sephora, Ulta, etc like the Makeup Forever primers. I’ve been using this for about three months now ,so it’s safe to say it’s legit. It has a slight manly smell that goes away after about 5 minutes, so don’t worry about the smell lingering. It leaves skin super soft and moisturized. Also, you do not need much because it spreads easily so it will last forever. I think it would work best on people with normal to dry skin, but I do think it will work for even those with oily skin. If you’re sensitive to smells or break out easily from fragranced items then this may not be best for you as it does have the slight cologne smell I mentioned earlier. The reason this works so well as a primer is because the product mainly consists of glycerin, which is a main ingredient in lots of the makeup primers on the market. It works well because glycerin adheres makeup to the skin. It also contains chamomile and vitamins. Once your face feels tacky, then you can start applying your foundation. I highly recommend trying this out. I think I will be using this from now on in place of more expensive primers with the same ingredients. 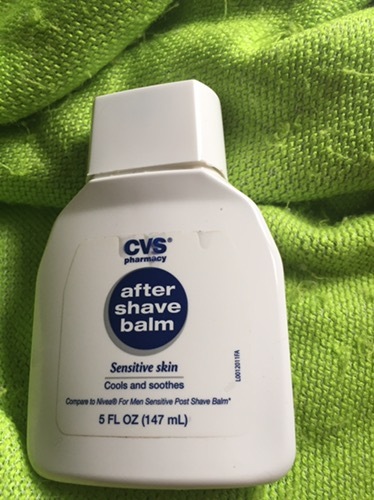 Bonus tip: using this on your legs and bikini area after shaving also prevents bumps and razor burn as it is originally intended for men’s faces after shaving.